It goes without saying that the kitchen is one of the more important rooms within the home. When you find yourself in need of kitchen plumbing in Brier, it is always a good idea to work with professionals. Trident Plumbing and Drain Cleaning are available for any and all kitchen plumbing needs that you may have. All you have to do is give us a call and we can send someone out at your earliest convenience. When looking at the kitchen space in any home, you have elements like faucets and sinks, dishwashers, garbage disposals, and a variety of appliances that call for water. 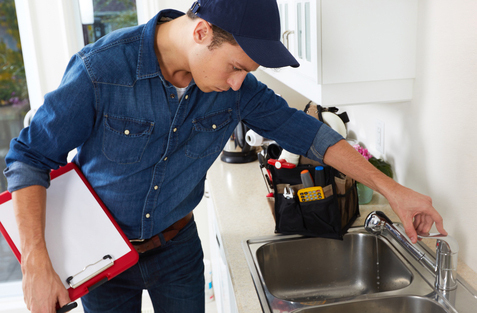 If you find that you have a dishwasher out of service or plumbing underneath the sink that is giving you problems, you want to be sure that you have the ability to fix it right away. Once you call us, we can set up a time for a professional plumber from our team to come out to your location to work on your plumbing problem. A leaking faucet is no problem for us and we also have the ability to detect hidden leaks in and around your kitchen space. Are you tired of the layout of your kitchen and you are getting ready to do a renovation? We can be available to help with the installation of your new plumbing fixtures to make sure that you have the ultimate space to gather with family for creating meals and memories. Whether you are in need of leak detection, drain cleaning, dishwasher repair, new plumbing fixtures, repiping and more, you can count on our staff at Trident Plumbing and Drain Cleaning to get it all done for you in a timely fashion. When it comes to kitchen plumbing in Brier, you need it done right the first time. Call Trident Plumbing and Drain Cleaning at (425) 321-6043 today!